When any child is born, we ponder, “What then will this child be?” Maybe it’s better we not know in advance—as we might spend our every waking moment trying to control how our child grows, what they wish to be or to do. Better to trust our newborn to God and His wisdom and will. Our reading for today is another chapter in the unfolding story of who is this child to be born of Mary. 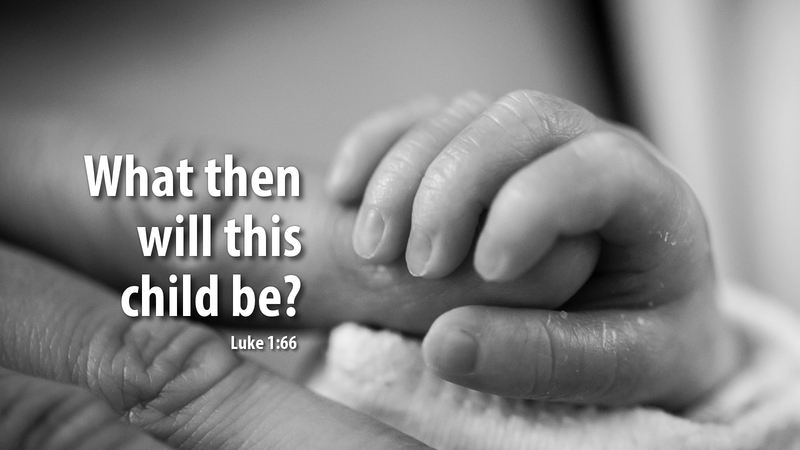 First, we are challenged to consider what then will this child be who is born to Elizabeth and her husband, Zechariah. Zechariah is in the temple, struck dumb until the child would be born. And in a miraculous way, both Elizabeth and Zechariah choose the unexpected name, “John.” And immediately, Luke tells us, Zechariah’s tongue was loosed and he spoke, blessing God! All is happening in accordance with God’s will. Elizabeth has given birth, they have given their son the name John, Zechariah has regained his speech, and it is clear to all that this child will be someone special. Who he will be, they haven’t quite figured out—but they were certainly talking about John, in fear and uncertainty, because the hand of the Lord was with him. And the hand of the Lord was upon John, because it was also part of the Father’s will to prepare the way for His Son. Elizabeth and Zechariah, John, Mary and Joseph—all had yielded to the Father God’s will in preparation for the coming of Jesus, who would be Emmanuel. Prayer: Lord God, our prayer is simple—thy will be done! Amen. Advent Action: Pray for all expectant mothers and fathers today and tomorrow—that God’s will be done in the lives of their children.